Newtown Police station has welcomed its newest squad member – the MINI Clubman. 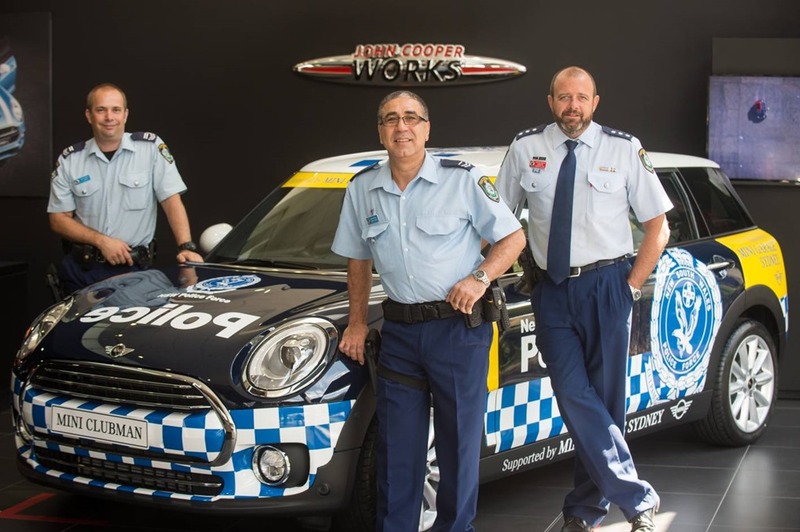 Wrapped in full police livery, the MINI Clubman was formally assigned to Detective Chief Inspector Crime Manager Damian Goodfellow at MINI Garage Sydney in Alexandria. The Clubman is the dealership’s second police vehicle following the delivery of a BMW i8 to Rose Bay Local Area Command last year. Simon Macedone, Dealer Principal of MINI Garage Sydney, was delighted to present the striking MINI Clubman to Newtown Police. “Last year was the BMW Group’s centenary year – and a great year for MINI in Australia with sales up 12.7 per cent. The MINI Clubman played a major role in this success as one of the newest models to join the current MINI line-up,” said Macedone. “We’re thrilled to continue the MINI’s success in 2017, and our commitment to the community, with the handover of the of our second dedicated police vehicle, the MINI Clubman. “The Clubman is the perfect vehicle to navigate the narrow streets of Newtown,” he said. Newtown’s Detective Chief Inspector Crime Manager Damian Goodfellow welcomed the arrival of its new fleet member. “Newtown Police are appreciative and very excited to accept the keys to the Mini Clubman,” said Goodfellow. “We know it will be a great conversation starter as it will turn a lot of heads and generate a lot of interest in our local area; it’s such a great looking car,” he said. The Clubman will assume its new role within the squad effective immediately, making regular appearances at community events to boost the department’s profile. This vehicle loan is comprehensively covered by MINI Garage Sydney at no cost to the tax payer.